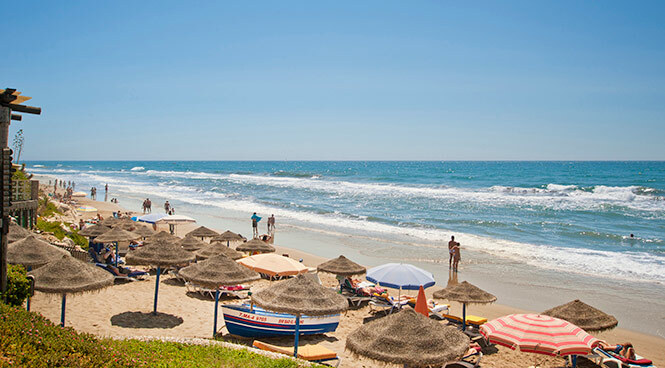 While you are in the area, why not take the chance to go to Morocco for a day? High Speed ferries leave every two hours from Spain''s windsurfing capital, Tarifa and take 35 minutes to get to Tangier. Known as the door to Africa, Tangier is a fascinating city. Haggle in the Grand Souk, the Petit Souk or even the famous market ‘Casa Barata’ (house of cheap things) where you can find a whole host of goodies! Golf is a very big deal in these parts, with the perfect climate and lush scenery making it an attractive way to spend the day, even for beginners looking to learn while on holiday. For the real aficionados, there are four world-class courses nearby, including Tamisa Golf and La Siesta Golf Course. 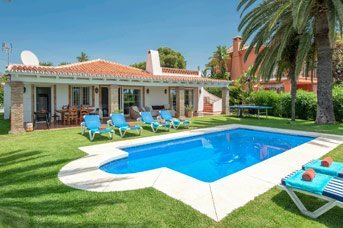 If you fancy a game of tennis, your nearest courts are only a ten minute walk away in Elviria, a popular holiday resort and home to the Nikki Beach Club. The Santa Maria Golf and Country Club is also located here. Cabopino harbour is a 15 minute stroll along the beach from Marbesa and has some excellent restaurants. There are chiringitos – beach bars - along the beautiful, white sandy beach, with sunloungers and parasols, or if you want a more formal meal, there are mainly fish restaurants around the elegant little harbour. There are Spanish bars, Irish bars, wine bars, tapas bars and traditional Spanish restaurants. The pretty port, with its small boatyard, attractive architecture and good food is what some might refer to as a 'hidden gem'. 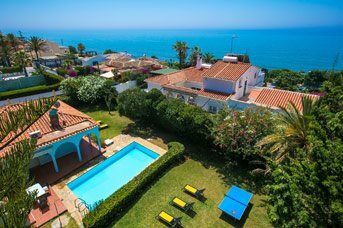 Nearby Marbella is also famous for glamorous nightlife and is one of the Costa del Sol's most elegant spots – think Spanish St Tropez! The Golden Mile (actually 4 miles, all the way to Puerto Banus) of its seafront is full of bright lights, bars and clubs. 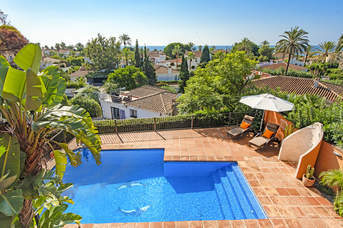 By way of contrast, the old quarter of Marbella nods in the direction of its fishing village roots, with its Moorish castle, famous Orange Square, narrow alleyways and interesting, unusual shops.